The jumpsuit trend is bigger than ever before and it doesn’t seem to be going anywhere. 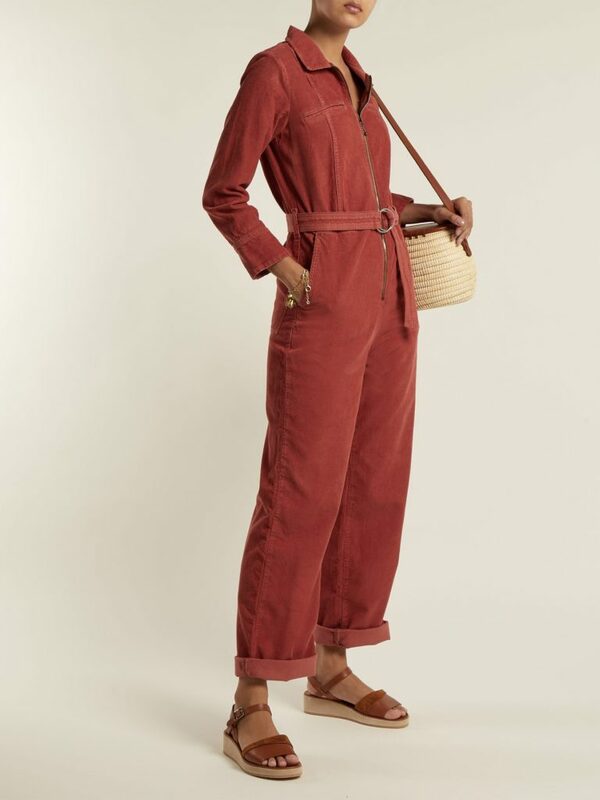 Jumpsuits and playsuits are listed on every shopping site amongst the staples we have known for years, so we’re happy to see they’re still around! For me, the jumpsuit is the perfect item of clothing – to be able to wear one item and manage to look smart and be comfortable is what I am all about. Whether structured or casual they are ideal for interviews, parties, date nights and even the school run! Let me guide you through my favourite All-in-Ones! 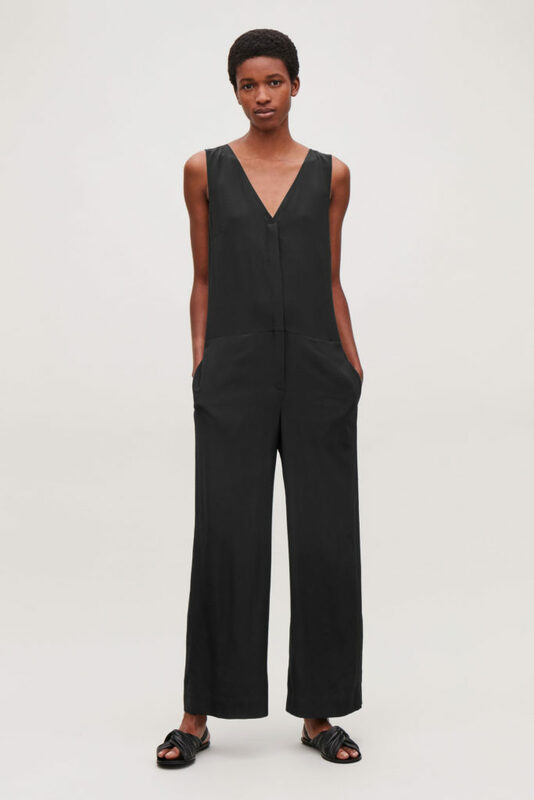 Made from 100% silk with a knotted back detail this and elegant ‘little black jumpsuit’ from Cos. With its loose fit and wide leg this is an easy wear, ideal for daytime or evening. An Autumn buy, this is my favourite jumpsuit from MIH. I adore Cord at the moment, so stash it at the back of your wardrobe ready for when the temperature finally drops. Great for all skin tones too and what an amazing tone to show off the long hot summer tan. 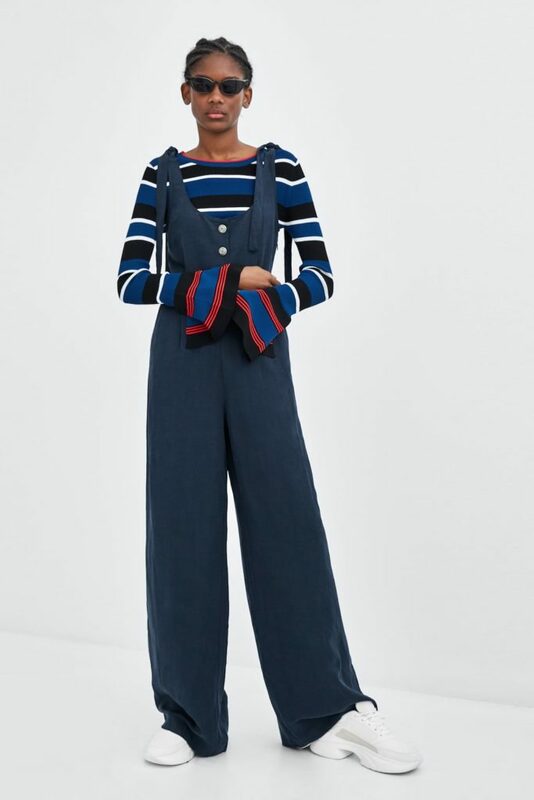 Zara being Zara have an endless supply of jumpsuits. Tailored, short or glamorous it’s easy to fall into an online pit of One pieces. I love how the casual outfit below has been styled with a contrasting jumper and chunky 90’s trainer. If you have an interview coming up try popping a crisp white shirt underneath with a rolled-up sleeve. I have always been pro double denim so Frame’s figure-hugging 70’s, style one-piece had to be on the list. Personally, I would wear it on its own, I think it’s too tight to have an underlayer as styled on the website. The cropped leg length will take you from the summer months (styled with a chunky Birkenstocks) to winter (heavy, buckle heeled boots). I can only imagine that every mom to be has a varied selection of rompers in the closet. Luckily due to fabric options and design, the majority of shapes are perfect for growing and you won’t be restricted by suffocating waistbands, high waists or tight fabric. Due to the roomier nature of the shape, you can get away with buying your own size or a size up, and how lovely not to be limited by maternity sections. 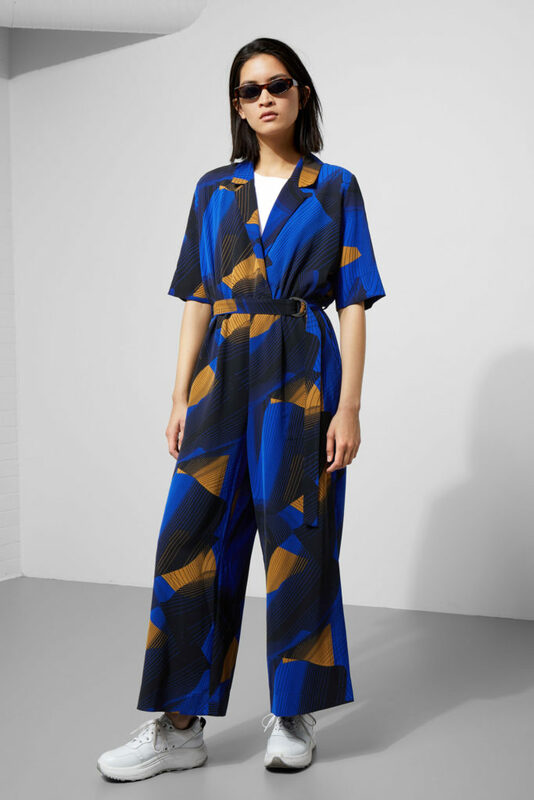 For the Bold print lovers out there, head to toe pattern and a bargain at £60. 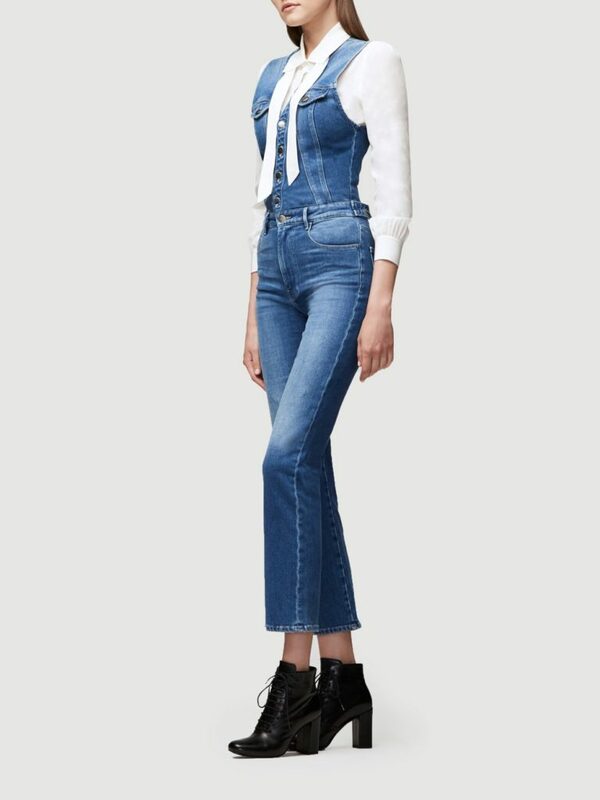 Weekday has spoilt us with this flattering shape due to its synched In waistband belt. I’m not one for a pattern but I do see the benefits, if you spill something down the front it gets merged in with the print and you can carry on your day in blissful denial that you slipped with your Pret Spinach, darl at lunchtime. With ten years of fashion experience under her belt and associations with globally recognised brands, Poppy is our expert on all things style. Having previously worked with Next, Adidas, Sainsbury’s, Asos and The White Company, we’re sure you’ll be just as happy having Poppy on board as we are! She’ll be helping you lovely mums to dress for your dream job, offering invaluable style advice and helping you grow in confidence through the clothes you wear. She understands the importance of appearance in the business world and how it can affect your personal mindset, too. Poppy will be your personal stylist at The Daisy Chain, working with your budget to find you the best pieces for your wardrobe.